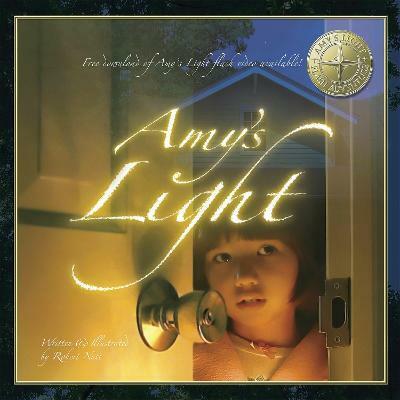 A young girl discovers a light in nature that helps her overcome her fear of the dark. The book includes an author's note about fireflies. It was a perfect summer evening at dusk. Robert Nutt and his wife were walking down a peaceful street in Asheville, North Carolina, listening to crickets, when they came upon a house with a garden full of dancing, flickering lights. At that moment, Robert knew he would write about it. He is, also, an experienced designer who took the photos of his daughter that form the photo-illustrations for AMY'S LIGHT.